Spend some time thinking about exactly how you want the final design to be. You need to take account of the style and function of your landscape. Do you want to include an area for entertaining? A barbeque? Is there to be an area for children to play, a fishpond or a swimming pool? An idea of the plants you want to be there will also help. Focus on the area where you spend most of your time. That’s a good place to start. Think twice before hiring a pro. An independent designer might cost you hundreds of dollars when you may be able to access free plans on the internet or at a nursery. But if you have an awkward block such as very steep ground, a pro might give you the expertise to save costly mistakes. The style of your home must be taken into account. If you have a rural cottage, formal gardens surrounding it will look out of place. Think also about your lifestyle. Do you want to spend hours caring for many beds of annuals or pruning beds of roses? If so, go ahead and plant them, but if you’d rather spend your free time at the beach, then go for an easy-care garden and landscape. a) Formal. This style uses lots of straight lines and perfect geometrical shapes. Orderly arrangement of plants instead of random positioning is employed. Close arrangement and pruning is seen on many landscaped gardens with this style. b) Informal. This kind of landscaping works well with cosy cottages. Beds with curved edges instead of straight lines and random placement of plants suit this landscape style. c) English Garden. This style emphasizes the harmony between the house’s architecture and the garden. d) Formal/Informal Garden. This style often comes with a brick walkway that exudes formality. This walkway leads to the rear with a circle of plants. The arrangement of plants resembles the English garden style but it has no formal borders. e) Oriental. It is often the kind of garden found in small backyards. It uses rocks, evergreens and water. A wide variety of plants create several interesting angles with this style. f) Woodland. This landscaping suits a house that has a wooded backyard and sloping ground. Of course whatever style of garden you decide on, we have a garden shed to suit your needs! Different kinds of gardens require different kinds of garden tools. 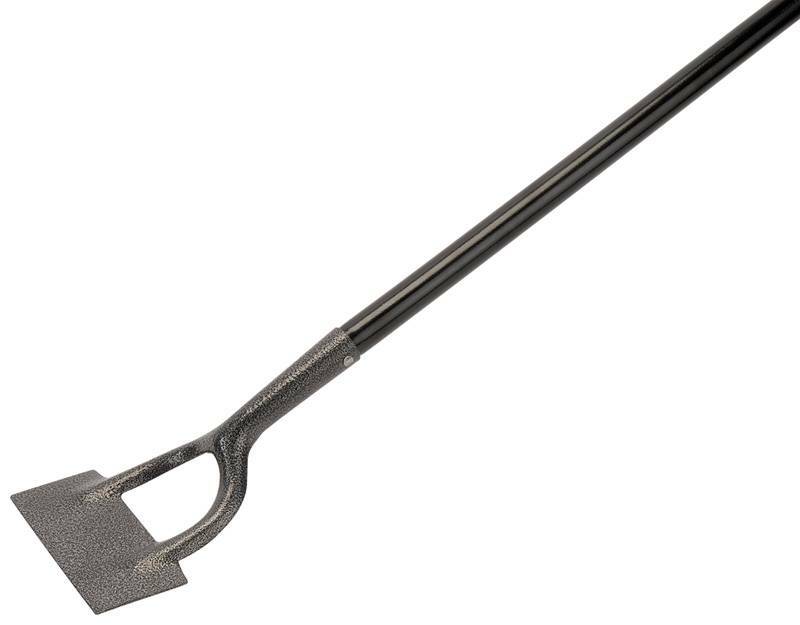 Hardware stores mostly cater for a wide range of tools, but there are shops that specialise in the more expensive kind of garden tool that shouts quality. Wherever you decide to shop, here are a few pointers to advise you. Many times we buy plants on impulse then find there is nowhere in the garden that really suits them. Before buying plants carefully examine your garden to see how much sun and shade it gets, whether the soil is well drained or waterlogged and whether your aspect is sheltered or windswept. You’ll then be equipped to go and buy the best plants for your situation; shade-loving plants for the sheltered areas, sun-lovers for the warm spots, drought-resistant plants for the parched areas which may be either sunny or shaded, and swamp plants for the poorly-drained parts. Before planting out, place your chosen plants around the garden bed in their pots to see how they will look. Re-arrange them until you are satisfied. Grouping plants in sets of threes or fives usually looks better than planting in groups of even numbers. Be sure that you have an interesting combination of colors and textures of plants. 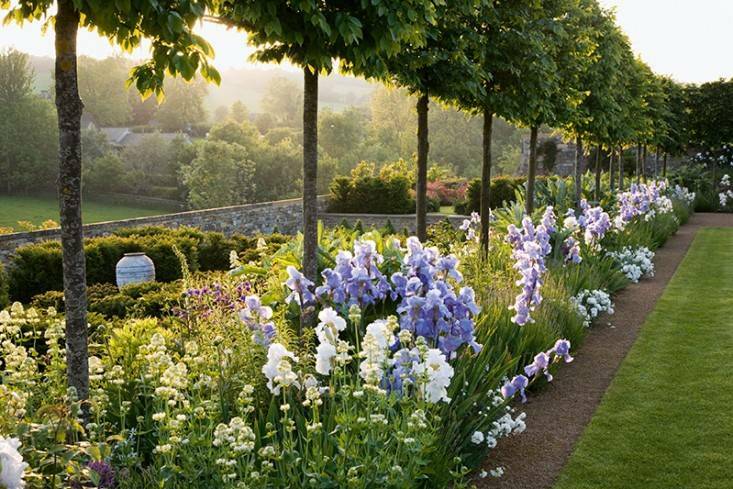 Tall plants should go to the back, or the centre if your garden will be viewed equally from all sides. Try to keep your plants away from trees. The roots of trees are fiercely competitive and will steal all the nutrients and moisture meant for your flowers. The right color scheme is one way to maintain the harmony in your garden. Imagine the color of the flowers when they are in bloom. Some colors may clash with others, but can still be planted side-by-side if they have a different blooming season. Foliage color is also important. Many flower plants have silver, grey or purplish foliage that is just as attractive as the flower. This means that they are still attractive well past the blooming season and so have added value. Galvo premium garden sheds are New Zealand-made as part of a longstanding family owned business, proudly serving its customers since 1974. Any backyard can be organized and neat when it is transformed with a high quality, top-of-the-line shed. Affordable yet dependable, the garden shed GVO3023Z delivers accessibility combined with sturdy construction and the trusted Galvo name. 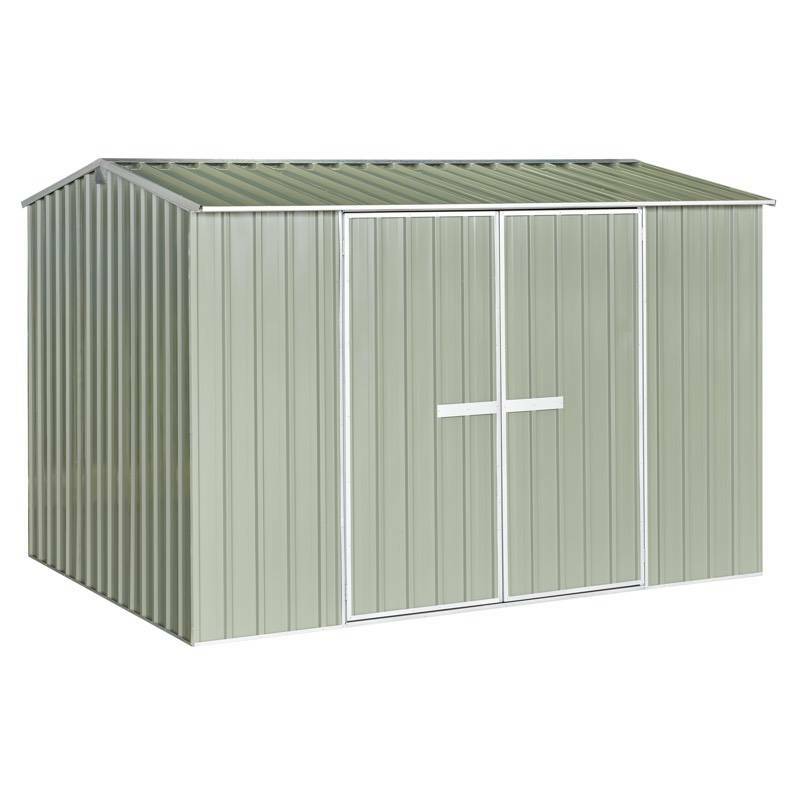 Garden shed GVO3023Z features a gable roof with double 1.5mm wide double doors with large storage capacity. Lawn mowers, wheelbarrows, leaf blowers, and other lawn equipment are easily stored in this large space. Keep your family’s bikes and recreational equipment safe, organize all of those gardening tools, and keep seasonal items stowed away securely all year round. No more searching for those missing items; everything will be within reach and tidy. Top quality means utilizing the best type of materials, and that is exactly what Galvo premium garden sheds offer. Reputable suppliers and a commitment to quality are a signature trait of the Galvo shed business. The best in materials are part of the makeup of the garden shed GVO3023Z, including .35mm anti-rust zincalume or coloursteel sheeting. High tensile steel, a deep ribbed profile, and large sheet size are characteristics of this attractive addition to your backyard. Choose from 3 colors to suit your preferences. Wide opening doors are lockable and hinged and include double folded doorway safety edges. Easy-to-follow directions and an instructional DVD are included with every garden shed GVO3023Z. Quickly and easily add in a timber floor, crafted from treated pine, or opt instead for a concrete floor for your space. Grab a friend and some tools, and you will be on your way to a newly organized yard. For an even more organized shed, shop our accessories section for hooks, shelf brackets, and racks. Keep home tools, garden supplies, and other materials handy and accessible at all times. There is a reason our garden shed GVO3023Z is a best-seller; attractive in design and durable in construction, Galvo premium garden sheds are guaranteed to satisfy. Rest easy with a 15-year warranty and a price guarantee from The Garden Shed Company. We pride ourselves on quality customer service and the best garden sheds in the business. We can help meet your storage needs, no matter your type of yard or your budget. When you partner with us, we promise you will be pleased. When you choose a strong and sturdy garden shed GVO3023Z, you are choosing the highest in craftsmanship and durability. For the ultimate in durability and attractive design, The Garden Shed Company is proud to offer Galvo premium garden sheds. Since 1974, Galvo garden sheds have served New Zealand well, offering quality design and attractive workmanship. In a variety of colors and easy to assemble, these spaces are just what you need to clean up your yard and give it a clean new look. 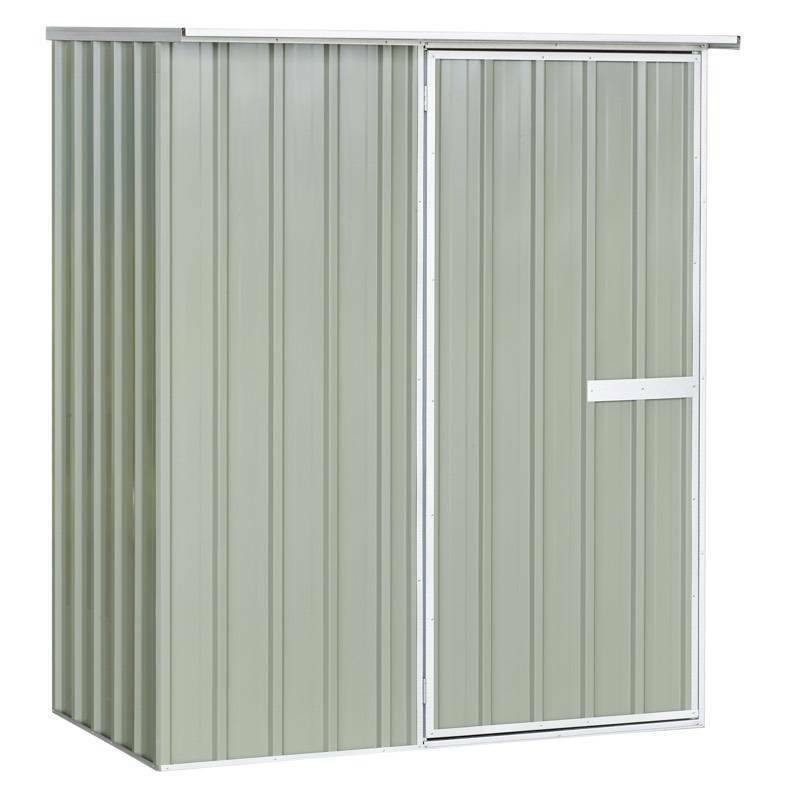 Coming in at 2.28Wx1.53Dx1.83H, garden shed GVO2315 in the Galvo premium shed line features a sloped roof, single 755mm wide door opening, and top notch anti-rust sheeting for long-lasting use in your space. High tensile steel couples with zincalume channels and trim to deliver lots of room for not a lot of money. Storing recreational equipment like bikes and sports gear is easy in this Galvo shed. Yard tools, grills, and almost anything you need to store outside can be accommodated when you choose a Galvo premium garden shed. Each shed comes with an instructional DVD and easy-to-follow directions so you can have your new project done in no time. We know you will appreciate the large sheet size, sturdy hinged door, and double folded doorway safety edges on your new garden shed. When you add in a kitset timber floor (sold separately) made from tread pine, your space will look and feel completely transformed. If you prefer, your shed can be fixed to a concrete floor, as well. Garden shed GVO2315 is low maintenance, waterproof, and available in zincalume, karaka, and desert sand colors. 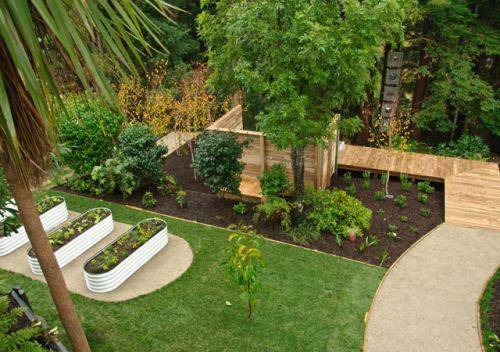 Want to really organize your backyard space? Check out The Garden Shed Company accessories section to purchase just what you need to customize your shed. Hang shelves to organize gardening goodies and install tool racks for a neat space all year-round. No more disorganized messes in the backyard; you have extra strength, top quality Galvo storage! The Galvo brand shed is one of the top selling products for The Garden Shed Company and has been proudly made right here in New Zealand for over 40 years by a family owned business. Materials come from reputable suppliers and are roll-formed right in the factory, so you always receive the highest quality sheds for your needs. We are so confident in our product, each garden shed comes backed by a 18-year factory warranty. We guarantee you will be satisfied with your new garden shed GVO2315 from Galvo. The Garden Shed Company promises the best price, free delivery, and quality customer service. As New Zealand’s leading online retailer of garden sheds, we know we can satisfy every backyard need and every budget. Try us today and start creating a happier backyard! There are plenty of outdoor activities to keep busy at when the temperatures are high. However, gardening and heat waves don’t tend to go hand in hand. Below, we’re sharing a few tips for caring for your plants and helping your garden to thrive during hot days. One danger with hot weather gardening is exposing yourself to the high temperatures. 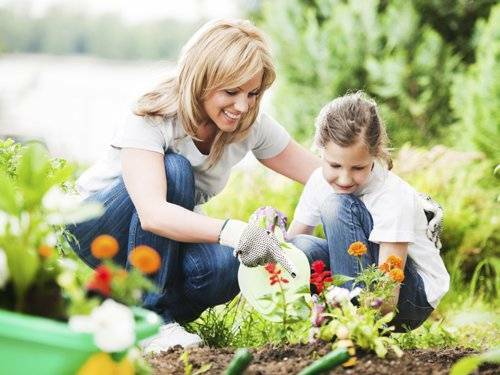 When possible, do your gardening in the evening, when you won’t be exposed to the sunlight and heat. Be sure to stay hydrated while you work as well. Overcast days are also a great option for both you and your plants. Some crops are better suited to hot, dry conditions than others. If you’re anticipating these difficult conditions, choose the right crops for your best chance of having a healthy garden. Plants like squash and melons can handle the heat well, as long as they are watered regularly. Tomatoes and cucumbers will also require a lot of water, but if they’re carefully tended to, they can hold up in high temperatures as well. The key to successful hot weather gardening is to do your prep work ahead of time. While the high temperatures can be hard on your plants, there are a few things you can do to set your garden up for success. Before planting your trays of seedlings, pre soak the trays. Prepare and provide plenty of mulch for the garden to lock moisture in. Weed the garden before planting. Weeds take up valuable space and water, resources that should be saved for your plants. Just as humans need to stay hydrated when dealing with high temperatures, plants need extra water as well. Start by trying to plant just after a rainy day. The wet soil will help your plants to acclimatise to the new surroundings. When watering day to day, be sure that most of your water is going into the soil, rather than collecting on leaves. A high quality mulch is also extremely helpful in retaining moisture. The mulch provides shade for plant roots while helping the soil to stay wet. With careful planning, care, and attention, you can have a successful garden year round. Maintaining a garden in New Zealand is not a luxury. Today, the environment needs more greenery to offset the damage done by mankind. Hence, having a garden has become a necessity. However, a lush garden with flowering plants and shrubs need some tender, loving care, and you can offer this with the right tools and implements. Thankfully, you don’t have to clutter your garage or spend more than you can afford when there are good quality, low cost garden sheds available. A low cost garden shed doesn’t mean low or poor quality. On the contrary, it refers to a shed that is durable, made from high quality materials and aesthetically pleasing without burning a hole in your pocket. And, it is possible to get such a shed. 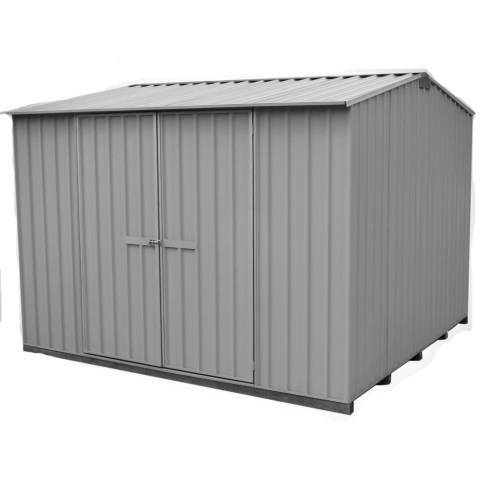 Our new range of low cost Galvo garden sheds come in hazy grey coloured steel and offers you a bigger bang for your money. These sheds come with a single or double door, depending on the dimensions. What makes these shed awesome is the space. The sheds offers spacious storage facilities that allow you to store your lawnmower as well as other gardening tools and implements. The sizes range from 1.5 x 0.8 m to 3.0 x 3.0 m. The smaller sized sheds come with single door, while the bigger sized ones, from 3.0 m onwards come with double door. All our Galvo sheds come with attractive features that make them a worthwhile investment. These features make the shed resilient, aesthetically pleasing and also durable. These low cost garden sheds can be installed quickly and come with clear and precise instruction manual and DVD. We also are at your service should you require any assistance or have queries. The sheds can be fixed to concrete or timber floor, depending on what you prefer. You can buy the timber floor kits from us at affordable prices. 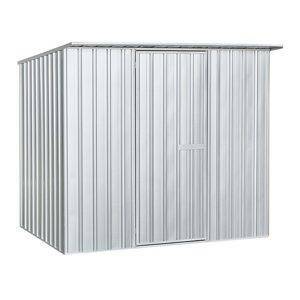 So, go ahead and make a wise decision by opting for our range of low cost garden sheds. It will help to make your garden look more organised and allow you to use storage space more efficiently. We are certain you won’t be disappointed. In New Zealand, there are a lot of regional and local differences when it comes to soil and climate. Hence, if you are planning to start your vegetable garden, you should know what veges to plant and when. The growing season for veges will vary depending on where you are based. The north, which is the warmest part of New Zealand, has a subtropical climate. The main growing season in this region is from August to June when the average temperatures range from 15 degrees to 30 degrees Celsius. The middle part of New Zealand has cool winters and warm summers. The main growing season extends from mid-September to May or June and the average temperature during spring and summer is between 10 degrees and 25 degrees Celsius. The south has cold temperate climate, with cold winters and warm summers. This region has a relatively short growing season compared to other parts of New Zealand. The main growing season begins from end October or beginning of November and continues until April or May. Why have your own vegetable garden? It is always a good idea to grow your own vegetables. This way you can eat fresh, pesticide-free vegetables everyday without having to buy expensive out-of-season imports that most grocery stores and supermarkets sell. Furthermore, eating fresh veges ensures your body gets the nutrients it requires, keeping you healthy. Depending on how many types of veges you grow, you can experiment with dishes and concoct something special for your loved ones. So, it definitely makes sense to start your vegetable garden and be self-reliant. The worst spot to grow vegetables is often your backyard. Typically, backyards are located on the south side of homes and this means your backyard will not get a lot of sun. Also, as it is your backyard, you will not go in and out of it. This will give a free rein to weeds and also prevent you from regularly tending to the plants and harvesting the vegetables. Location and shape: Think of starting your vegetable garden in the front and you don’t have to make it a boring rectangular shape. You can make the garden attractive by going in for a circular, octagonal or semi-circular shape. 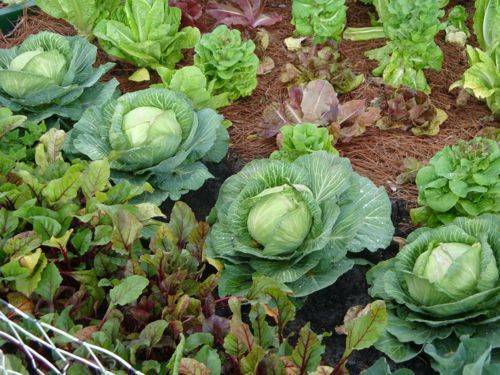 Vegetable beds: You should try and have raised beds to grow vegetables. Not only will this facilitate good drainage, you also can extend the growing season, as the soil will heat quicker. A raised vegetable bed allows you to carefully create a soil mix that has all the nutrients the plants require and never have to bother about digging up the front yard. Aesthetics: You can have several raised beds and enhance the appearance by creating a pathway between the beds for easy access. You can place stone, shells or gravel along the pathways to keep your feet dry and beautify the area. Also, add trees, as some vegetables prefer shade or semi-shade to grow well, while others thrive in full sunlight. You can create a backsplash with the help of a trellis and grow kiwifruit or grapes on it to enjoy fresh fruits, as well. Following on from last weeks post, here are tips 6-10. Rather than using soil from your garden, opt for a soil mix. Usually, soil mixes are blends of peat moss, compost and bark. Use a mix of vermiculite, peat moss and blended compost. This will make a growing medium that can hold nutrients, water and oxygen. Also, remember you will have to feed the plants more the first couple of years to facilitate growth and meet the growing plants’ nutrient needs. As you build the soil structure, the need for fertilisation will decrease. Make sure you test the pH of the soil mix, as some plants require an acidic environment to flourish, while others require slightly acidic or neutral soil conditions. Extremely high or low pH can reduce yield and cause unnecessary stress to the plants. This is a way to get rid of pests that thrive in soil. Just spread a sheet of plastic on the soil. Hold it in place by placing bricks on it. This will raise the temperature of the soil and destroy pests, their eggs, soil pathogens and weeds. While this can take time to be effective, it proves to be a good option in the long-term. You can prevent your plants from getting eaten by pests during the growing season. If somehow weeds still make their way into your raised garden bed, rather than weeding, which will break down the soil structure with time, opt for plasticulture. Place a black plastic on the soil. Make holes in it to plant your plants through it. Use drip irrigation to keep the soil underneath moist. This plastic will raise the soil temperature and prevent weeds. 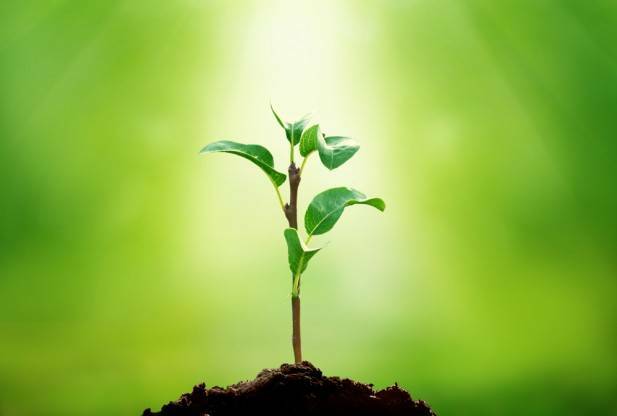 The elevated soil temperature can also extend the growing season of plants that are sensitive to temperature changes. 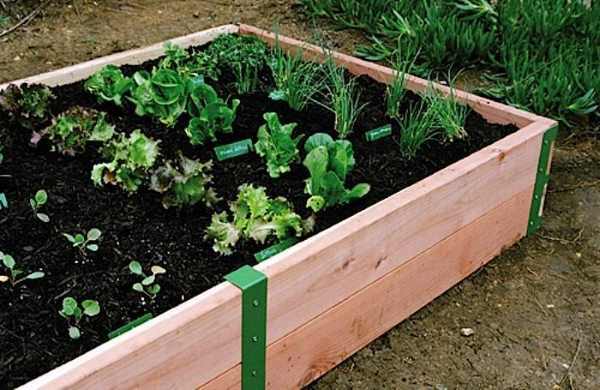 When you are growing vegetables in raised garden beds, it strips the nutrients from the soil mix. Rather than using artificial means to add nutrients into the growing medium, you can use cover crops during the off-season. Such crops add the nutrients back into the soil mix and also prevent soil compaction. Some examples of cover crops are clover, oats and buckwheat. One of the best ways to increase yield and provide optimal growing environment to plants in a raised garden bed is by introducing worms into the soil (that is you are using soil instead of another growing medium). The worms will aerate the soil and also help blend organic matter throughout the soil. You also can use your kitchen scraps to fodder to earthworms and when there is sufficient castings of the worms, place into your raised garden bed. These castings are rich in nutrients. 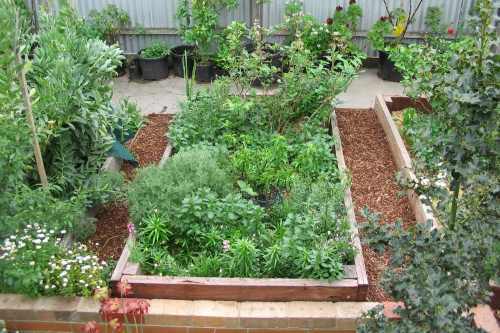 Adding a raised garden bed in your backyard not only allows you to use small garden space effectively, it also lets you have a great growing medium for flowering plants and vegetables. In fact, raised bed gardening is perfect for those looking for bounty harvest of flowers and veggies without spending too much. It also saves water and seeds and is less work compared to a traditional garden. However, if you want your raised garden bed to be productive, there are a few pointers you need to keep in mind, regardless of whether you are using wood or steel to create the bed. This is one of the most important factors while planning an elevated garden bed. You want a location that is away from trees and shrubs, so that their roots don’t interfere with your bed and also do not obstruct the sunlight. The location should get around 6 to 8 hours of sunshine per day. Try to select a place that is close to your house, so that it is convenient to access the bed. 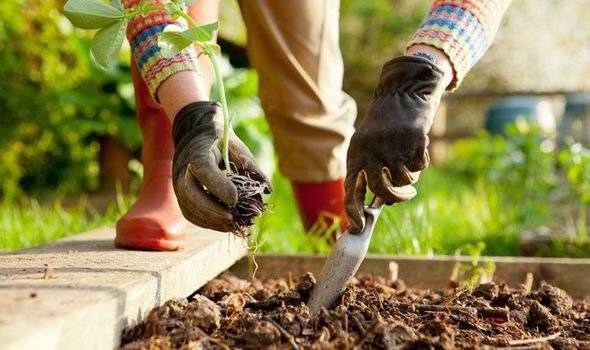 Don’t pay too much attention to the soil in the location, as it is best to use a soil mix of blended compost, vermiculite and peat moss as the perfect growing medium. When you are packing the elevated bed with compost or nutrient-rich soil blend, you should be looking to reach a minimum depth of 6 inches. This is the minimum depth that most vegetable and fruit plants require. However, if you intend growing root vegetables and tubers, the minimum soil depth should not be less than 10 to 12 inches. It is easy to crowd your raised garden bed to accommodate as many plants as possible. However, this is a recipe for disaster. The right spacing between plants is very important in this type of gardening, as the growing space is limited and compact. 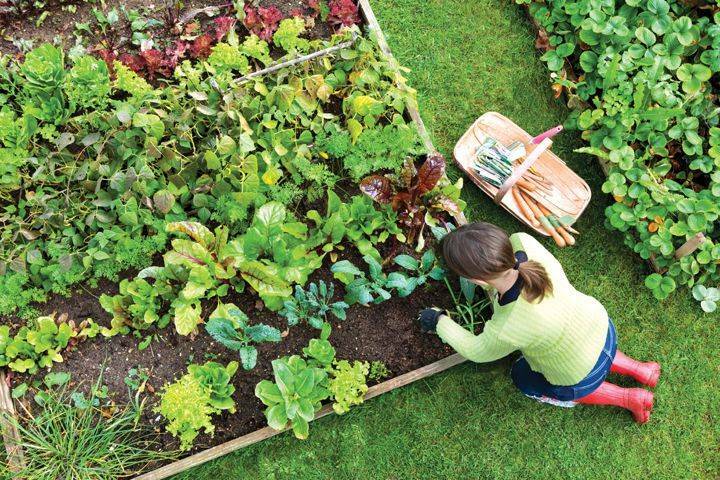 Your garden bed should not wider than 4 feet, so that you can reach it from any side of the bed and do not strain yourself while harvesting fruits or vegetables, or cutting flowers. You should be looking at one square foot per plant, and if necessary, thin the seedlings, so that each plant has ample space to grow without getting crowded. One of the main issues with a raised garden bed is deciding how much to water the plants. Typically, plants will require more watering compared to plants grown in traditional gardens. As the plants don’t have the luxury of drawing moisture from the soil, you should ensure you keep the soil moist. This will depend on which part of New Zealand you are living in and how much sunlight your raised garden bed receives. You should be looking to water the plants once a day if the weather is warm. However, if the weather is not hot, you can water the plants every other day. The best way to water plants in elevated garden beds is using drip irrigation. If you use the right soil mix, it will absorb the necessary water and the excess will be expelled. In case you intend planting the plants directly over grass or soil, you will have a weed problem. Thankfully, you can overcome this issue without using chemicals. Place the weed barrier (you can get it from nurseries) under the garden bed and if it is longer than the bed, the extra portion can function as an aisle between the beds. Check back next week for the next five tips to get the best from your raised garden bed.